Blandford Nature Center helps you bring hands-on, natural learning experiences to your students through our many outdoor field trips! 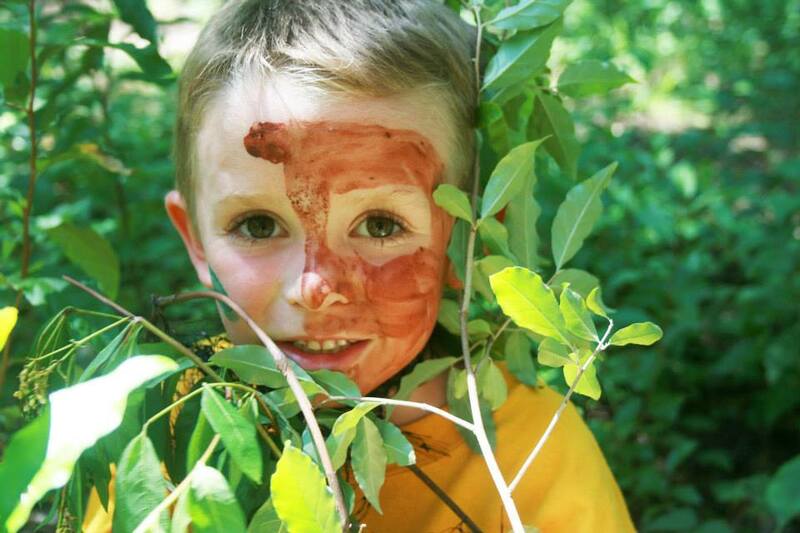 We guide environmental learning experiences for students in preschool through sixth grade. Blandford’s 264-acres offers students and groups the opportunity to explore the diverse ecosystems by observing plants, animals, soil, water, seasons and much more year-round. Each program is a minimum of 90 minutes long unless otherwise specified. We host 60 students max per program. You have to book multiple dates for groups of 60+. The changing seasons inspire sensory investigation and role-playing that will help students answer the big questions of WHERE do animals live, WHY do they live there and WHAT does it take for them to survive? Explore the fall woods and fields to learn how plants and animals prepare for winter. The changing season inspires role-playing and sensory investigation of life cycles. Discover the beauty of winter and the secrets of animal survival during this cold season. Find out first-hand why some animals have feathers or fur and others have shells, scales, or slimy skin. Spring is an amazing time of growth and change, and the evidence is all around us. Investigate with your senses, practice counting and develop color recognition by spying blooming flowers, singing birds, and buzzing insects. Whooo Lives in the Forest? Ask WHO, WHAT, WHERE, WHY, and WHEN questions about Blandford’s owls as students explore their habitat and investigate owl pellets to learn more about the birds of prey that are hunters of the night! Investigate the Blandford Farm using your five senses! See plants growing, hear pollinators buzzing, smell nectar-rich flowers, taste vegetables, and get hands-on as you and your students experience a day in the life of a farmer. Discover the amazing world of birds as they call for mates, build nests, and raise their young. Students will identify distinguishing characteristics and meet one of our resident Birds of Prey. What does it take for an animal to survive in the wild? Students will engage in an action-packed simulation to explore and understand the complex interactions between herbivores, carnivores, and omnivores in an ecosystem. They will experience firsthand what it feels like to be part of a food chain, the value of camouflage, and other animal survival strategies. December – February 1.5 hrs Add snowshoes to your program for a special 2-hour experience! Discover the secrets of animal survival during the winter and how animal characteristics and adaptations help them thrive during this cold and snowy season. Program is 1.5 hrs. without snowshoes; 2 hrs. with snowshoes (Snowshoe availability is dependent on amount of snowfall). Learn about vertebrate groups, their unique qualities, and habits. Live animals and hands-on props highlight adaptations the different vertebrates use for protection, warmth and food gathering. Discover how a farm is like an ecosystem, the impact of farms have on our health, and the impact they have on the health of the biosphere. Visit the greenhouses, examine soil samples, learn about vermiculture, and greet the resident farm animals! Everybody has to eat something and something eats everything! Follow the sun’s energy by exploring plants, animals and fungi through the lens of a producer, consumer, or decomposer. Discover essential aspects of a watershed as well as investigate key indicators of healthy wetlands by evaluating biotic and abiotic factors. Students will explore ways that their actions can impact the watershed, as well as other natural resources, around them. The programs listed below are focused on History (H), Geography (G), and Economics (E) from the Michigan Department of Education Social Studies Standards. Create the perfect learning experience by selecting which topics you would like to cover for your customized program. Students will be immersed in the rural life a pioneer child by using machines and toys of pioneer times and visiting historic buildings. Simple machines emphasize the rural ways of pioneers as students explore an old-fashioned life in the different seasons. This program’s duration is 90 minutes which includes a 10 minute intro and four 20 minute stations (options below). Additional 20 minute stations can be added for a flat $50 fee. Stations can also be extended to 40 minutes. The cultural heritage of the Grand River comes alive through hands‐on experiences with traditional tools. We will investigate how the seasons and resources of Michigan influenced the lives of Anishinabe people around 500 years ago. This program’s duration is 90 minutes which includes a 10 minute intro and four 20 minute stations (options below). Additional 20 minute stations can be added for a flat $50 fee. The most common/standard stations are listed below. The additional station options are listed right below the standard station options and can be substituted in or added on as requested. March 1.5 hrs THIS PROGRAM BOOKS QUICKLY! REGISTER EARLY TO ENSURE YOUR SPACE. Experience the science of maple syrup production! Identify maple trees, collect data on forest health, and smell the sweet syrup cooking in the Sugarhouse. Practice modern methods of tapping, collection, and boiling using real tools, then taste the sweet results. A puppet show introduction is featured in K & 1st grade trips. Interested in bringing your students to Blandford Nature Center? Please view our list of FAQs below on how to register and any questions regarding field trip programs.